Doherty states that she works hard at doing science experiments and enjoys making her own crystals. What makes learning fun for her is working with her cousin, Jasmine, who helps her learn all sorts of things. While not at school, Doherty collects crystals and stones and plays basketball and baseball. She lives at home with her mom, dad, her siblings, Ashtyn and Ayden and their dog named Carmen. Favorite subject: I love library because you can choose any book you want! 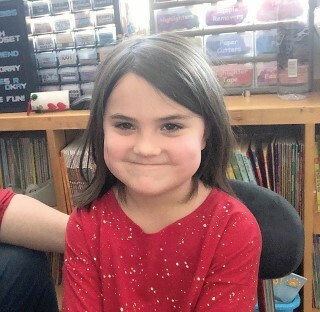 In a Windham Eagle newspaper article written in December 2017, we learned an interesting story and it went something like this: “You look tired today, are you doing okay?”, the elementary school teacher asked her student. Not yet having learned the shame of homelessness, the young child answered honestly, “We slept in our car at the Walmart parking lot last night and I didn’t sleep very well.” The teacher discovered that the student’s family had lost their home and had no place to stay.This conversation did not occur in a large inner-city school. Instead, it took place in our own school district - RSU14. Sharing housing due to loss of housing or economic hardship. Living in motels, hotels, trailer parks or camping grounds due to lack of alternative adequate housing. Living in emergency or transitional housing. Having a primary nighttime residence that is a public or private place not designed for, or ordinarily used as, regular sleeping accommodations. Although the exact statistics of homelessness, poverty and food insecure homes are difficult to come by, an October 2018 BBC report stated that approximately 500,000 people were homeless on a single night across the US in 2017. Although substance abuse is one of the contributing factors of homelessness, it is only one of many causes. Other factors include: the loss of a job, medical emergencies and expenses, domestic violence, mental health, and aging in place – just to name a few. As for the Raymond community, homelessness doesn’t seem to be as much of an issue. Don Willard, Town Manager of Raymond stated that it’s been a while since the community has experienced homelessness. “Food insecure homes is a much larger problem we face,” Willard stated. 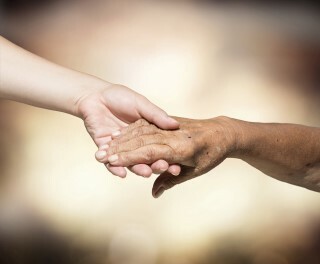 While the causes and solutions to homelessness, poverty and food insecurity are complex, there is much that an individual or community group can do to help. No matter what your skills, interests, age, or resources, there are ways you can make a difference for some of the men, women, and children who are homeless. Volunteering your time is one example of a solution. 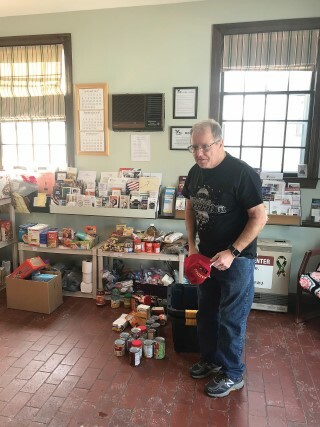 Chuck Whynot, a veteran and member of American Legion Post 148 in Windham, happened to visit the Portland Veterans Center a few years ago and noticed that the food shelves for the homeless veterans were completely bare. “When I saw that there was no food for the homeless veterans, I decided to do something about it,” he said. 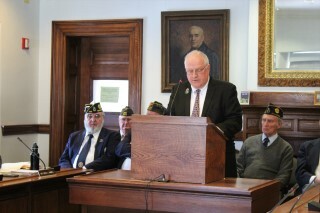 When asked about homeless veterans in the Windham and Raymond areas, he stated that although he personally is not aware of any, he and the rest of the American Legion and Windham Veterans Center members would certainly assist them in any way possible. Any homeless veteran is welcomed to stop by Wednesday mornings for coffee and help will be available. Willard is also happy to be a part of the solution. “I would go to the ends of the earth to help those who need assistance. We don’t want anyone to suffer. Anyone who has a need, all they need to do is reach out and we’ll find a way to help them.” Standing by his word, Willard is available 24-7 and can be reached at the town office by calling 655-4742 x131 or by calling his cellphone at 650-9001. Raymond’s General Assistance Administrator, Alice Hamilton is also available at 655-4742 x 124. St. Ann’s Essential’s Pantry – Open the last Saturday of the month from 8:30 a.m. to 9:30 a.m., the Essentials Pantry provides personal and household items that EBT cards and the food pantries in the area don’t cover. They are always accepting items such as toilet paper, comet, dish soap, liquid laundry detergent, paper towels, diapers, sanitary napkins, tampons, etc. The pantry is located at St. Ann’s Episcopal Church, at the intersection of Windham Center Road and River Road in Windham. Items can be dropped off at the church or call Deacon Wendy Rozene at 207-232-0841. 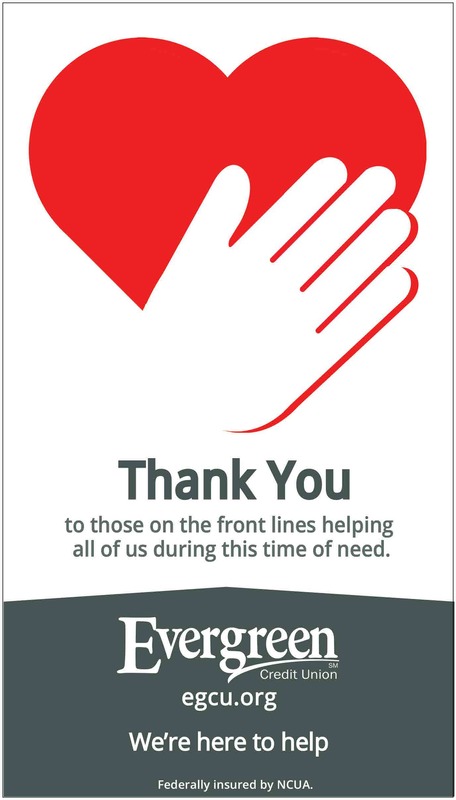 Windham Food Pantry and Clothes Closet – is located at 377 Gray Road in Windham and is open Monday through Thursday from 8:30 a.m. to 3:30 p.m., except for legal holidays. The clothes closet is open every Monday and Tuesday from 10 to noon. 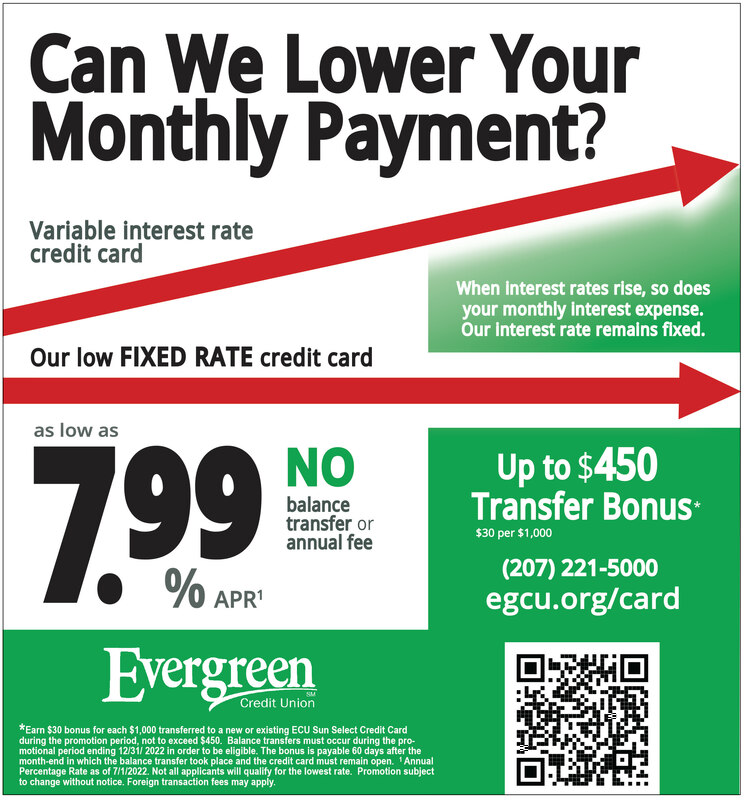 To make an appointment, call 207-892-1906. The pantry and closet are always accepting donations. You may not have noticed, but through the efforts and support of multiple community organizations, Raymond housed and shared a most unique and gifted artist, the weekend of February 8. Through the collaboration of the Raymond Elementary School, The Raymond Village Library, The Raymond Village Community Church and the Raymond Arts Alliance, Hawk Henries, Nipmuc Nation Eastern Woodland Flute Maker, Musician and Storyteller, delighted our students, fascinated our library patrons, deeply informed the general public of Native Culture and Worldview and wove Native Creation Stories into the theme of Caring for Creation at the service of the Raymond Village Community Church. “Where do you get the wood for your flutes?” asked one student. “From the woods!” replied Hawk mischievously before explaining the process of looking for and locating the perfect branch, tree or woodpile for his artistry. “What do you call the bird on the top of your flute?” asked another. “A bird!” he exclaimed, face again full of sweet humor. And there we learned what separates the Eastern Woodland Flutes esteemed in some Native Cultures, from regular flutes. Though the bird can be a dolphin, or any other form chosen by the maker, it is indeed called a bird. 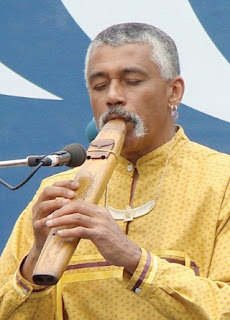 Its role is to change and direct the air through the flute, creating different tones. reconciliation between Nations on his hand-built flute that carried and wove two voices in haunting contemplation and gorgeous harmony. These were just two examples of Hawk’s selections that awakened a felt sense of community connection and peacefulness that was as profound and powerful as it was sweet. Raymond was extremely fortunate to have such a skilled artist and true cultural ambassador ready for the questioning, the exploring, and the transcending of complicated times. And fortunate as well to have community members who recognized the wonderful opportunities posed by Hawk Henries’ visit. Thank you to Randy Crockett of the Raymond Elementary School, Nancy Foran of the Raymond Village Community Church, Allison Griffin of the Raymond Village Library and members of the Raymond Arts Alliance for bringing this wonderful artist and his rich teachings to our community. One aspect of SIFMA is the InvestWrite essay competition that bridges classroom learning in a variety of subjects along with financial planning and life skills. A theme is picked, and students write on that theme. Then national and state winners are chosen. This year, JSMS fifth grader Jacob Lowberg was the elementary school state winner. His essay was chosen among roughly a couple hundred essays throughout Maine. This year, the InvestWrite theme was to pick an entrepreneur you admire, tell why you admire him/her and how could you help him/her invest their money in the future to make them even more successful. Lowberg chose Amazon CEO, Jeff Bezos because he likes Amazon and the products they sell. Lowberg offered three strategies to help Bezos diversify funds: 1) pay out dividends; “investors are more likely to buy stock if the stock pays out dividends” writes Lowberg. 2) Invest monies into high quality growth stocks, mutual funds and bonds and 3) Build more distribution centers. Jim Ford, a former Social Studies teacher at Oak Hill High School in Wales, Maine is now the Stock Market Game Coordinator and presented Lowberg with his award as well as several prizes including a cash prize. The Stock Market Game “gives students the foundation to understand that savings and investing can make a big difference in their lives,” says Ford. 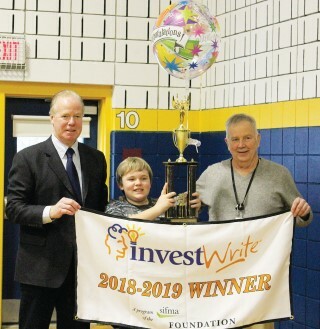 “The InvestWrite essay competition is an opportunity for students to take what they’ve learned from the Stock Market Game and see the real-world application,” remarks Ford. Lowberg was grateful his family was there to see him win this award and wanted to thank Mr. Fitch for all the work he’s done. He plans to take what he’s learned playing the Stock Market Game and continue with his portfolio after he leaves JSMS. February vacation begins Monday, February 18, and the Raymond Village Library is here to help! There will be plenty of programs to keep children of any age entertained and even educated over the school break. The library will be open during regular business hours on Monday from nine in the morning until six in the afternoon. If you haven’t stopped by the Raymond Village Library in a few months, or even a few years, you might be surprised by what you’ll find. In addition to books and plenty of cozy spots to read, including bean bags on the floor, the library has a wide selection of games and puzzles. Older children might enjoy the library’s oversized Scrabble board while younger children love the building sets. We also have a microscope for scientific exploration and DASH the programmable robot. Come in anytime on Monday to explore. On Wednesday, February 20, the Raymond Village Library is hosting two special science presentations! At 10:30 in the Raymond Public Safety Building, Mad Science will present Fire and Ice. Participants will explore the three states of matter while learning about the amazing properties of fire and the power of combustion. Children will see how secret Mad Science paper can burn leaving no ash behind, and their jaws will drop when they witness the “Swoosh, Whoosh, Aaaah” experiment. After some fizzing chemical reactions heat things up, we will cool off with spectacular demonstrations involving dry ice. At three on Wednesday afternoon, Dr. Nick Bizier, the Honors and AP chemistry teacher at Windham High School, will present the Science of Slime. Dr. Bizier will explain how the common household cleaning supply Borax can be used to make both beautiful, solid crystals and goopy, fun slime. Participants will have the opportunity to create their own slime. 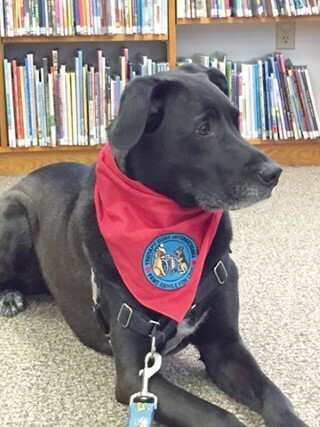 In addition to all our science fun, the Raymond Village Library will also be hosting Lucy the therapy reading dog on Wednesday, February 20th. Beginning at 1:30, Lucy will be available for an hour of reading with children. Many aspiring readers find Lucy to be an attentive and non-judgmental audience as they build the skills required for literacy. Even shy readers can feel comfortable reading aloud to Lucy as she listens patiently at their feet. Readers who share a story with Lucy will earn a certificate, and they can add their name to our wall of readers. Please note, preregistration is required for both the science demonstrations and reading to Lucy the therapy dog. 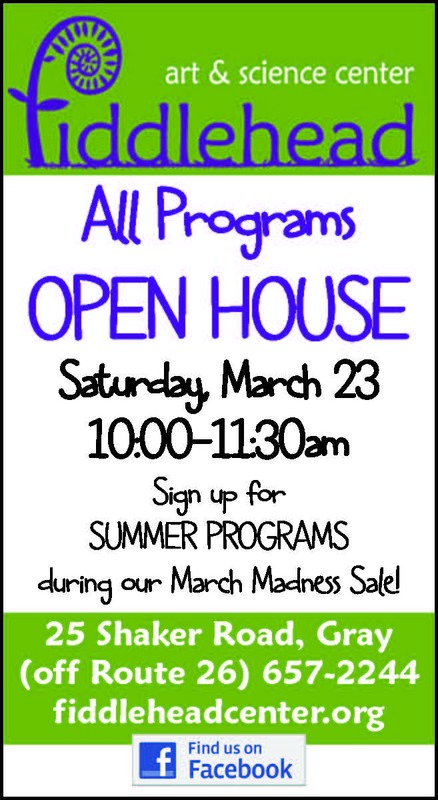 Contact the library at (207) 655-4283 to reserve your spot today! In January 2015, Rick Zaccaro and Bonnie Washuk, a married couple here in Maine, filed their federal income taxes. Rick, a retired financial analyst for the Postal Service, checked the status of their return online in early February and learned that they were the victims of identity theft. Someone had filed and claimed a tax refund using their names, dates of birth, and Social Security numbers. That fraudulent claim was paid by the IRS while their legitimate tax filing, with the refund they were due, was stuck in limbo. It took months of worrying, frozen bank accounts, and many calls to multiple government offices for the couple to straighten things out. When they finally did receive their overdue tax refund from the IRS, they also received something called an Identity Protection Personal Identification Number – better known as an IP PIN. Last year, Americans submitted nearly 142 million individual tax returns to the IRS, of which about 75 percent were eligible for a refund. With the arrival of tax season, criminals will once again use this opportunity to begin filing fraudulent tax returns in an attempt to steal the refunds that are due to legitimate taxpayers. 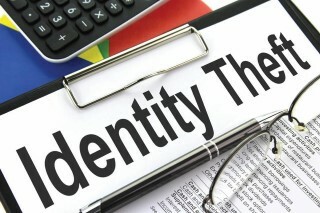 While the IRS has made significant progress in combating identity theft refund fraud, it continues to be one of the biggest challenges facing the agency. Identity theft refund fraud cost victims a total of $1.7 billion in stolen refunds in 2016 alone. Millions of American families depend on this money to pay off debts, settle medical bills, or plug gaps in the family budget. Worst of all, victims are often the most vulnerable. In 2010, for example, 76,000 low-income senior citizens were victims of this theft. Criminals have figured out that in many instances it is cheaper and easier for them to steal taxpayers’ identities and hijack their tax refunds than it is to traffic in drugs or rob banks. 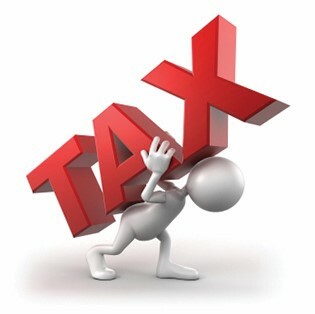 The thieves make sure to file early, as soon as the tax season opens in January, to increase their odds that they can get a refund before the real taxpayer, who is entitled to the refund, files his or her return. The IP PIN provided to Rick and Bonnie after their harrowing experience is an effective way to prevent this fraud. An IP PIN is a unique six-digit number that allows tax returns and refunds to be processed without delay and helps prevent the misuse of an individual’s Social Security Number on fraudulent income tax returns. Here’s how it works. If a return is e-filed with an individual’s Social Security number and an incorrect or missing IP PIN, the IRS’s system automatically rejects that tax return until it is submitted with the correct IP PIN or it is filed on paper. If the same conditions occur on a paper-filed return, the IRS will delay its processing and any refund that may be due while the agency verifies the filer’s identity. Until recently, IP PINs were only available to previous victims of identity theft and to all residents of Florida, Georgia, and Washington, D.C. Recently, the IRS announced that it expanded eligibility for its IP PIN pilot program to taxpayers in California, Delaware, Illinois, Maryland, Michigan, Nevada, and Rhode Island. These states have the highest per-capita percentage of tax-related identity theft in the country. In preparation for last year’s filing season, the IRS issued nearly 3.5 million IP PINs to taxpayers, up from 770,000 in 2013. Within just a month, the IRS rejected nearly 7,400 fraudulent tax returns that had been filed electronically, and by mid-March had stopped nearly 1,500 fraudulent paper tax returns. The IP PIN system works, and it is time to extend this optional protection to all taxpayers. I have introduced the Taxpayer Identity Protection Act to expand and make permanent the IRS’s IP PIN pilot program across the nation over the next five years. My bipartisan bill would take concrete action to help ensure that tax refunds are sent to the taxpayers who are entitled to these refunds, not misdirected to criminals who are seeking to rip-off American taxpayers. Many veterans’ organizations rely on beano games in order to fundraise for charities and local events commemorating Memorial Day and Veterans Day. This bill would allow veterans organizations to maximize their funds for their charitable, community-building work. Seventy-third Dirigo Boys State and Girls State 2019: A week that can shape a lifetime. It is time again for local high school juniors to be thinking about going to Boys State and Girls State. Last year American Legion Field-Allen Post and ALA Unit 148 of Windham sent five juniors from the local area and Windham High School to either Boys or Girls State. The local Legion Post and Auxiliary are looking for highly motivated junior boys and girls to attend the 73rd Dirigo Boys or Girls State to be held in June, the week beginning the 16th. The Girls State Convention will be held at Husson University in Bangor June 16 to 21 while the Boys State is scheduled for Thomas College in Waterville, June 16 to 20. The state conventions provide opportunities for qualified Maine juniors to participate in programs that supplement high school courses and to provide a better understand of the process and responsibilities of government. This year’s emphasis will be the interaction between government and the community. Attendees role-play varies government positions as they learn to campaign for state office and organize and carry out the functions of government. This is an amazing opportunity for our young adults to learn about how government works. beyond transportation cost to the respective colleges. Organizations, businesses or individuals wishing to sponsor a student may do so by contacting Field-Allen Post Financial Officer, Dave Tanguay (892-1306) for details. Full or partial sponsorships are welcome. 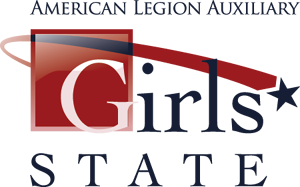 This is the first in a series of informational articles about the American Legion Family Youth Program, Boys State and Girls State. 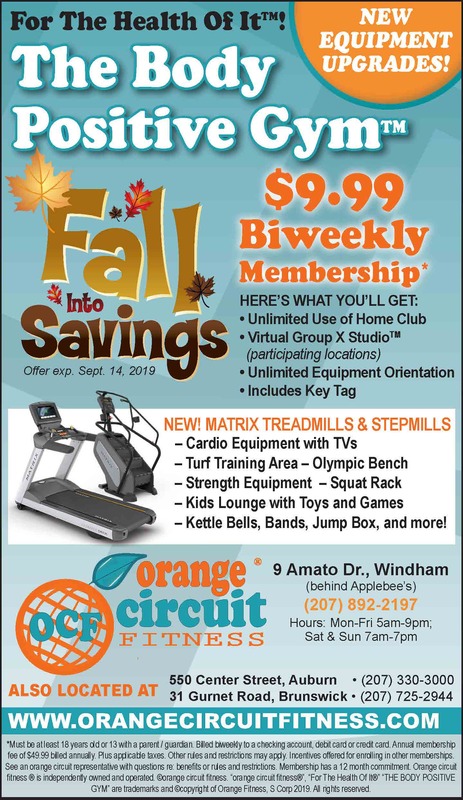 More information will be available soon at the Windham High School Guidance Office or through your local American Legion Post Commander, Mel Greenier (892-7449) or Auxiliary President, Pam Whynot (892-4720). These problem-solving puzzles are popping up all over the country, with at least three locations in Portland alone. They are designed as group experiences and are often used to help build camaraderie and teamwork, though they are also a great deal of fun to do on a weekend with a group of friends or family. 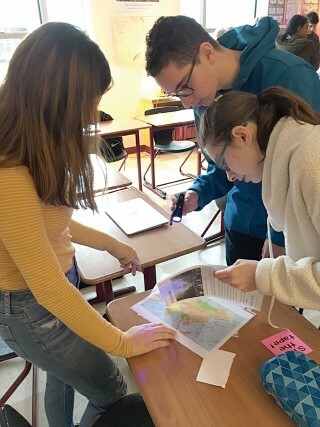 Skovran, are in their third year of making use of the excitement around Escape Rooms to construct more engaging learning opportunities for students. Breakouts, the school’s version, are activities similar to escape rooms but remodeled for the classroom environment as locked boxes that students must solve clues to open. While there is a digital library of pre-created options in various content areas, many teachers choose to create their own games that directly relate to a particular lesson. Among those who created their own versions is English teacher Mike Levine, who recently used the Breakout concept as a means to introduce students to their next book of study, The Alchemist. The Instructional Technology Leader position was developed by Windham High School four years ago as a way to provide much needed resources to teachers wanting to incorporate more technology into their instructional methodology. Along with assisting in the implementation of activities like these Breakouts, Ms. Skovran shares new technological options with faculty and helps lead lessons integrating new software in classrooms. 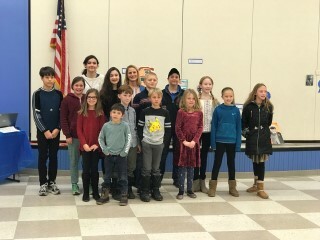 On Tuesday, January 29, PTA members, school staff, and family members gathered to recognize and celebrate the work of students who participated in the 2018-2019 Reflections program. Participation in the program was low this year, with 33 entries in four categories and four age groups, but the PTA is not discouraged. PTA President Amanda Wotton said the PTA plans to revamp the program next year and hopes to enlist the support of community members. They’re planning a workshop in the fall to help students get started on their projects. The theme for next year, “Look Within” was announced at the celebration so students can already begin thinking about what they might like to do. There are many reasons for the low participation, Wotton said, including the wide range of extracurricular activities available for students. A policy at the national level which dictates that the Reflections project cannot be part of the school curriculum, but must be completed on a student’s own time, is another factor, Wotton said. The celebration began with light refreshments and an opportunity to view visual arts and literature projects. Wotton opened the ceremony with a welcome, then introduced Reflections Chair, Katharine Slomczynski, to present the awards. The first category announced was the musical composition category. First place winner Lydia Marden’s musical composition “Stronger Now,” a piece about her family, was played. Slomczynski then called participants and first through third place winners in Literature, Photography, and Visual Arts to receive their certificates and ribbons. Original “Heroes Around Me” themed pieces in each category were judged by community members with expertise in that category. Entries were judged using a rubric from the National PTA, on interpretation of theme, creativity, and technique with a focus on how well the students used their artistic vision to reflect the theme. All first-place winners will be entered into the state competition. The state awards ceremony will be held on the weekend of April 5, 2019. Intermediate grades third through fifth: First place, Morgan Yates “Anyone Can Be A Hero”; second place, Eduard Anghel “Heroes Around Us”; and third place, Megan Keary “My Hero”. by Shannon Moss of WSCH6. Cameraman, Steve joins in. For those who love the spice and taste of American-Mexican cuisine and have enjoyed Maine-Tex Grilled Salsa for the past five years, then you might be interested to know that the company is part of the most recent Greenlight Maine competition. The uniquely grilled tomato salsa made by Stephanie Lay of Windham and her son, Bryce, are one of 13 Maine companies who may soon win $100,000. 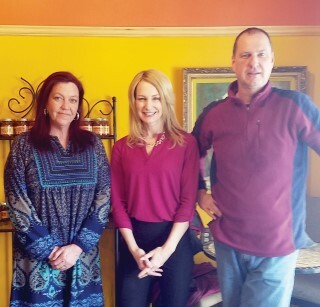 Briefly, according to Mainbiz.com, Greenlight Maine airs statewide on WCSH6 and WLBZ2, and has proven to be a great source of business building mentoring, funding and development for all participating entrepreneurs. In addition to the $100,000 annual cash prize that is awarded to the winner of the season, millions have been invested in companies that have been showcased. If you have followed their story since their entrepreneurial endeavor began in 2014, you already know the details. Their salsa business – along with their unique lives – have been captured by local and national publications and television stations. At that diagnosis, Stephanie was told that her son would never be able to work, communicate or show affection. Bryce, it turns out, has proven the medical diagnosis wrong in all three areas. He works at the company founded by his mother, he communicates effectively in his own way, and he shares hugs and kisses with those with whom he has a close relationship. Entering their fifth year, the Lays now have a commercial kitchen located in Gray where they sell their salsa and other products. However, one can also find their jars of salsa products at over 40 Hannaford Grocery Stores. They also provide their salsa at sixty-two specialty shops, four hotels, two resorts and at St. Joseph’s College in Standish. 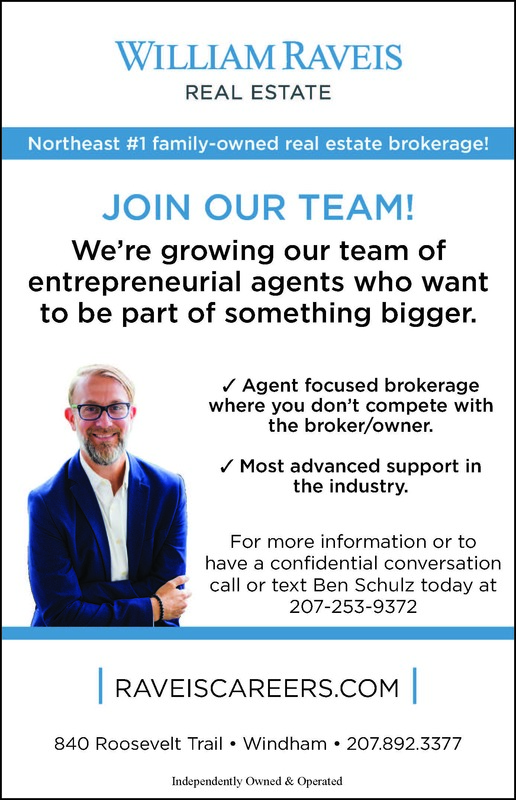 The company is growing.. With it’s recent commercial space rental and new employees, Stephanie and Bryce are moving onward and upward. If (no, I apologize – when) they win the number one entrepreneurial venture on Greenlight Maine, there will be no stopping them. The community wishes you the best of luck!